Be Your Own Bill Gates: Get Business Credit Power! What do Bill Gates, Donald Trump and other massively successful business people have in common? Business Credit! What do good business people do with corporate credit? Warning - Don't Get Ripped Off! Some Would Have you Pay Expensive Consulting or Card Application Fees! 1) there are many expensive corporate consultant companies ($1,500 to $5,000), that promise to "hold your hand" and help you build your business credit. These are often scams that "report" credit history on your behalf, and then get blackballed by Dun and Bradstreet, getting you in trouble with them! 2) there are many business credit cards out there that are supposedly "easy to qualify for", secured or not, but you often find that you after providing copious personal and business credit info, that they end up denying you credit with little explanation (just like the personal credit cards) after they made you apply with a non-refundable fee. Or, they never build your business credit rating at all. We Hired Two Business Credit Consultants So You Don't Have To! We actually hired two corporate credit consulting companies, one ripped us off, one didn't! One was in process of failing right away after we joined because Dun and Bradstreet has blacklisted all their clients! Some of their clients got blacklisted too! We lost about $1,200, then joined with another consulting company and started building business credit rapidly. We have built a business credit profile twice. We are willing to pass all information about building corporate credit to you! How we can guarantee you a good business credit profile. How? 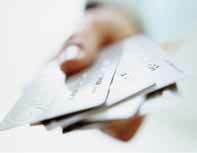 with no personal guarantee or credit history, though a secured visa business credit card! One with a guaranteed approval rating. No one has been turned down yet! Twenty vendors that will lend to you with no personal guarantee! How to avoid the mistake that 80% business owners make which results in a low Dun & Bradstreet ranking from the start. Business Credit No Longer a Mystery! Which 20 companies will lend to you without a personal guarantee? Which companies will lend to you with little or no business credit history? Who are the largest business credit bureaus? What are the three top business credit scores? What rights does a business owner have for incorrect information on a credit report? How do I get a 75 (excellent corporate credit score) within 6 months? What are the mistakes which about 80% of businesses make that lowers your chance at the highest corporate credit score? I think you guys did a pretty nice job with this book.... thanks for for the Visa Card as well. No book like this published anywhere! Our own testimonial on how we got corporate credit!